This is the sealing o-ring used for many oil cooler kits on various BMW models. 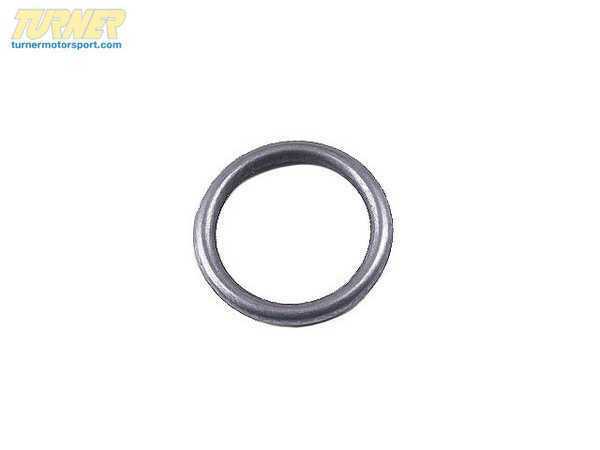 They're also a prime source for oil leaks because the o-ring gets 'flat' or shrinks or becomes damaged. These are usually easy to change though which puts an end to annoying small oil leaks. Priced per o-ring but most cars have 4 to replace.